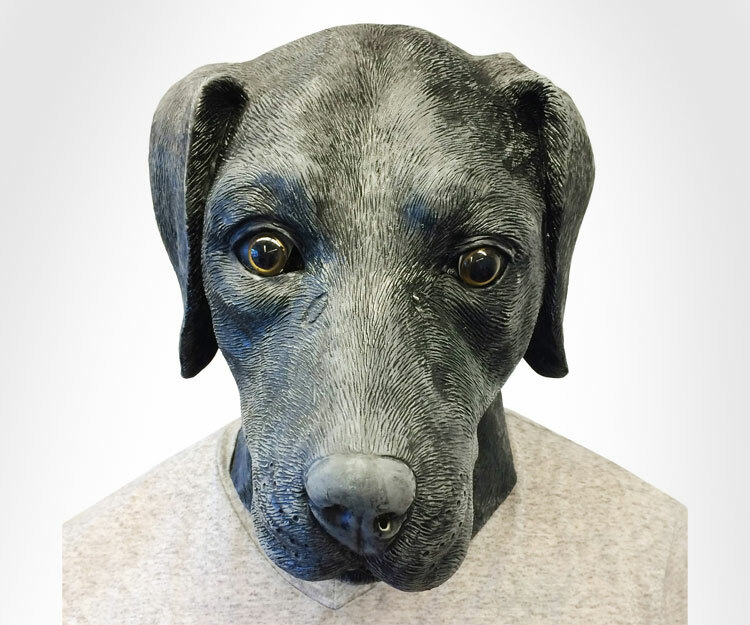 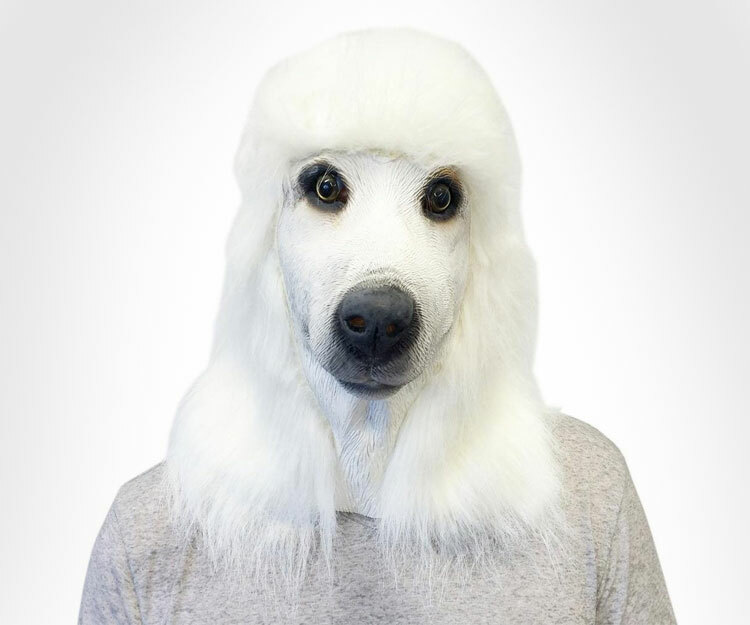 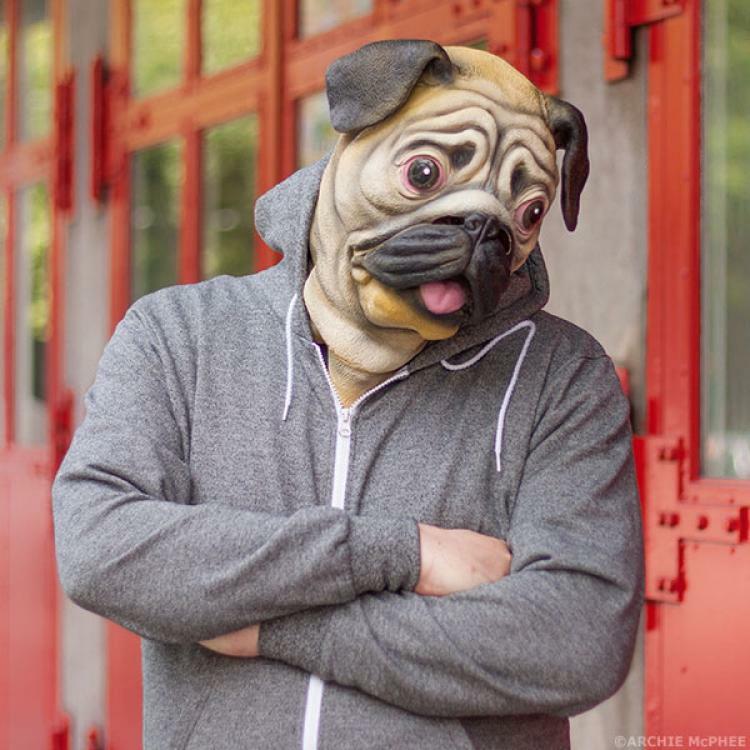 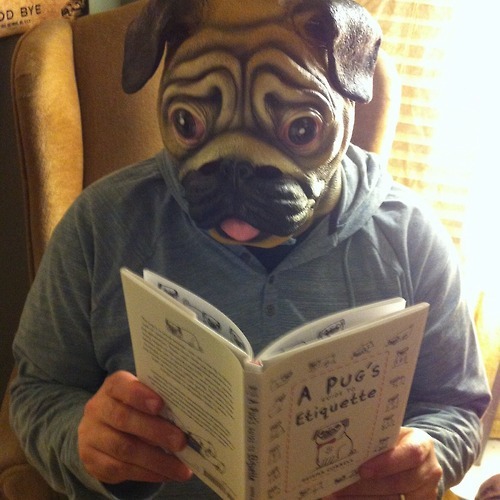 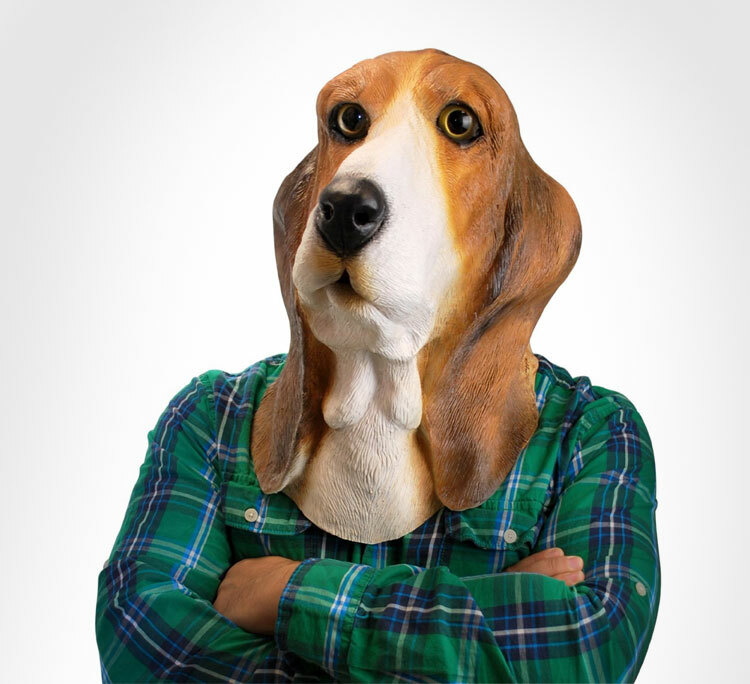 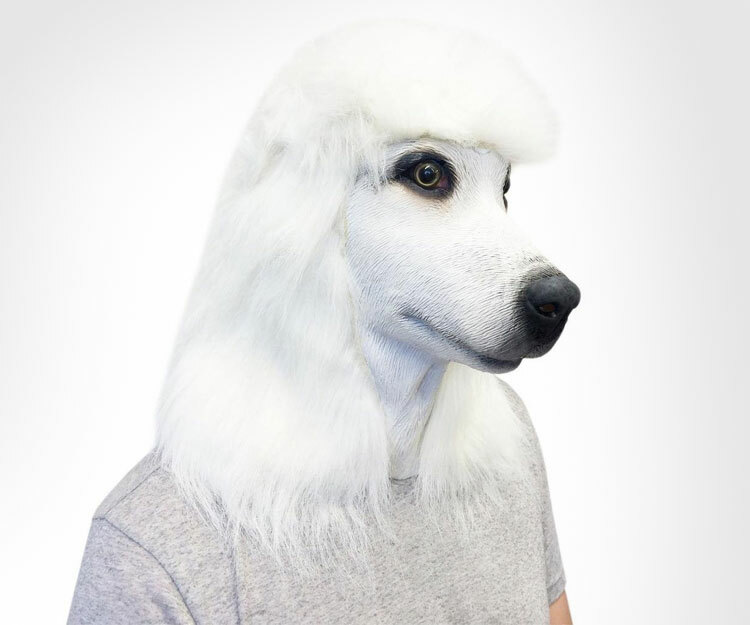 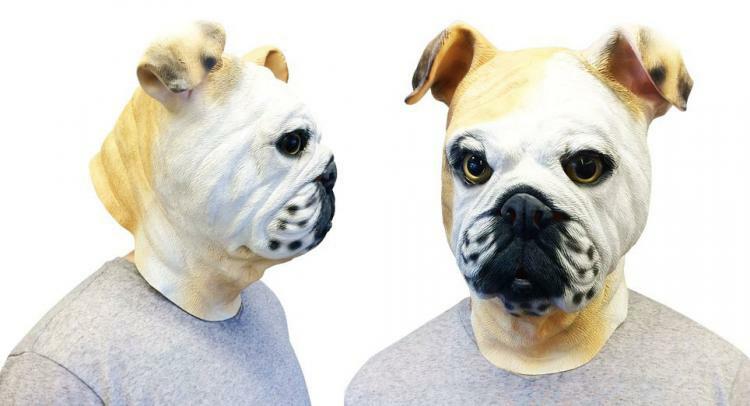 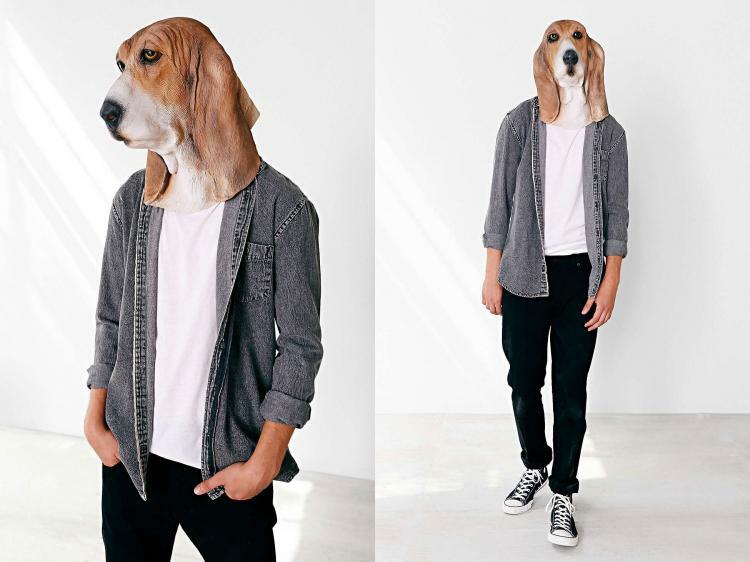 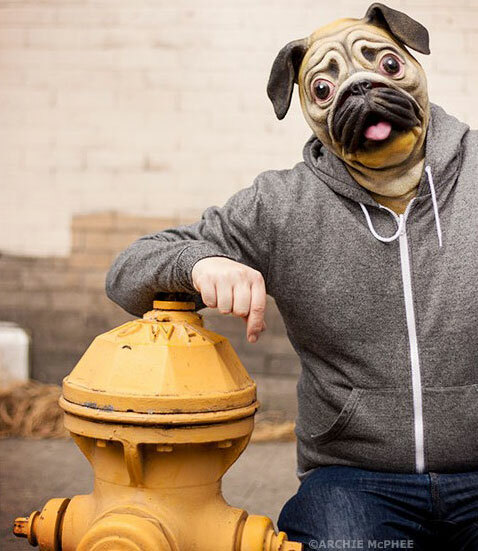 The realistic dog masks feature an array of masks that almost look real, with masks that resemble a German Shepherd, an English Bulldog, a Pug, a Basset Hound, a Black Labrador, and a White Poodle. 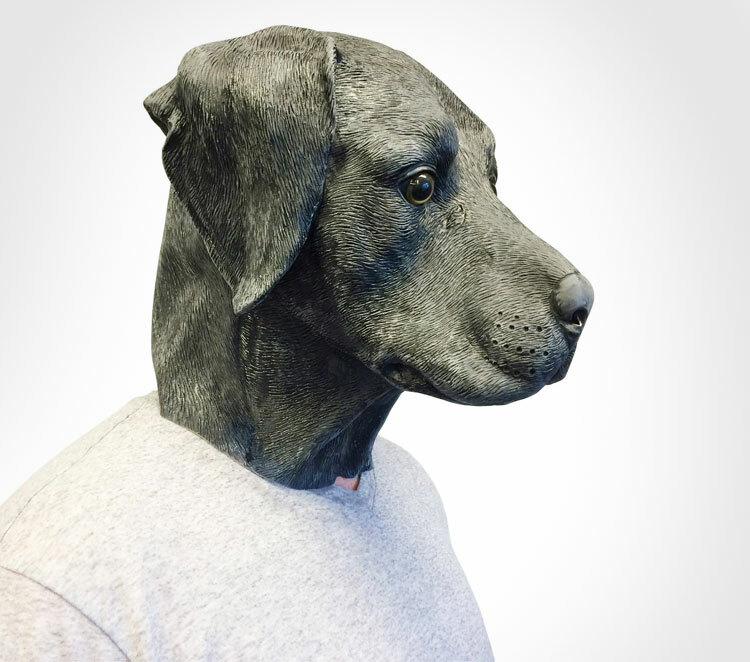 With realistic horse head masks, zebra head masks, crows head masks, or even crying baby heads masks out there already, I guess the next step was to make one for each breed of dog. 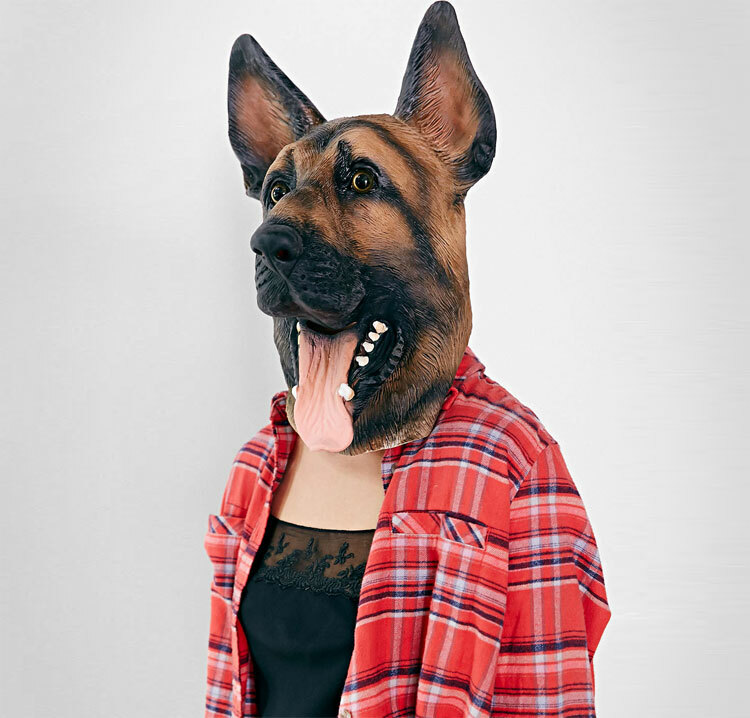 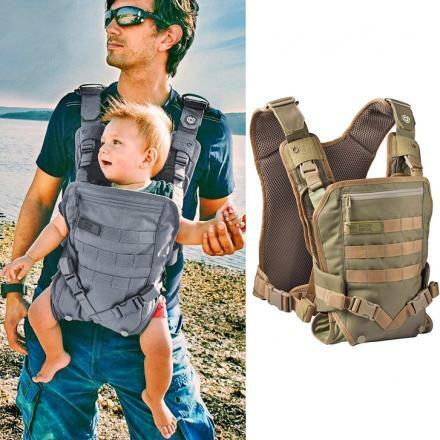 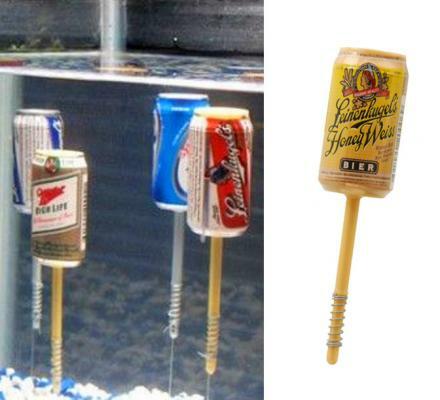 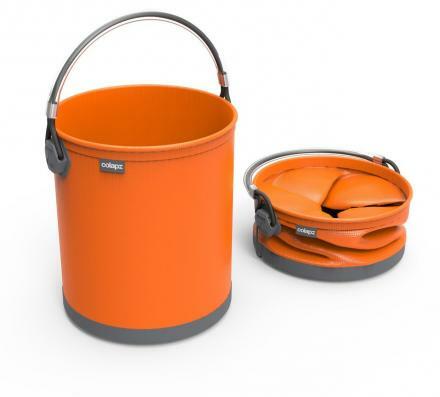 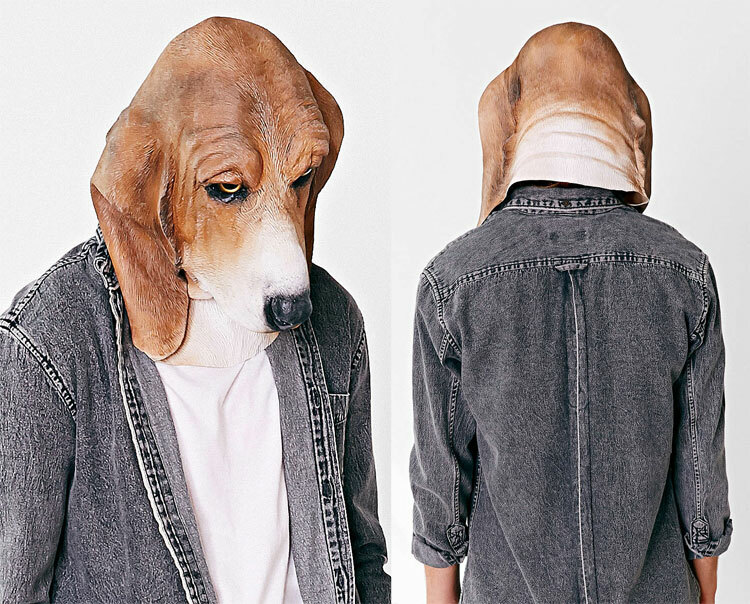 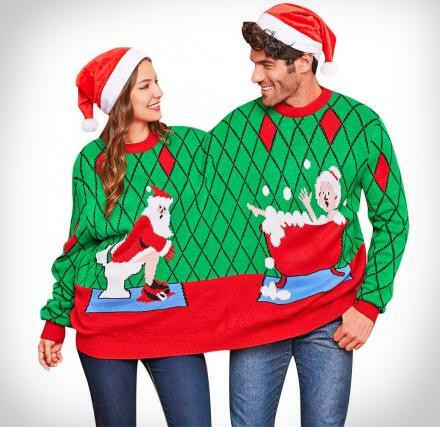 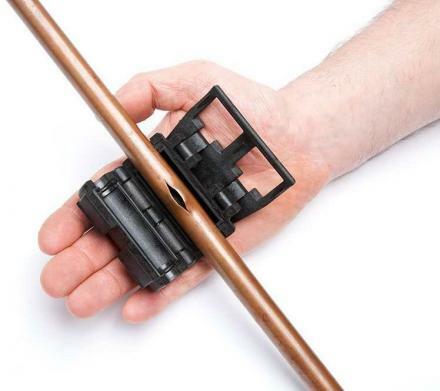 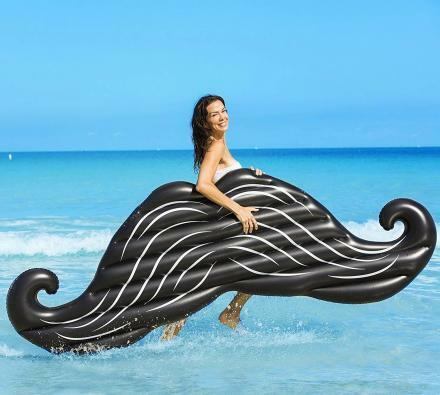 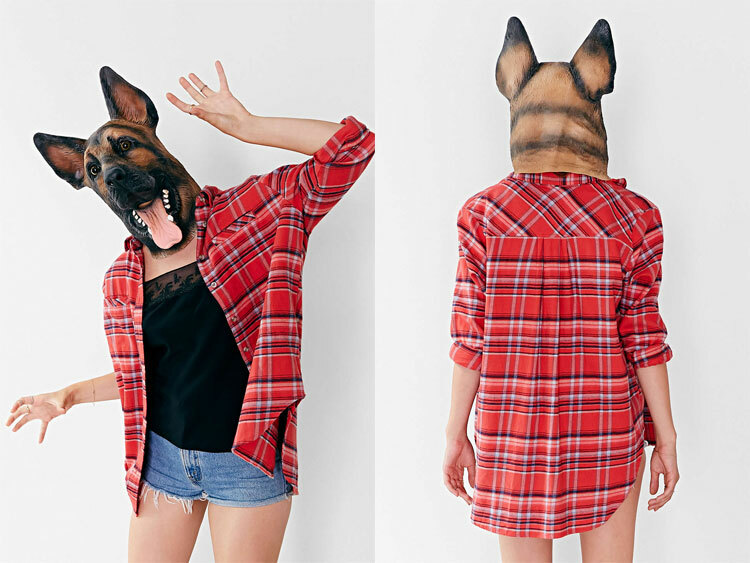 Perfect for a lazy Halloween costume that you can simply throw over your head and call yourself a dog (you'll just need a straw to consume your drinks), or maybe you just like to sit at home alone and dress up like a dog. 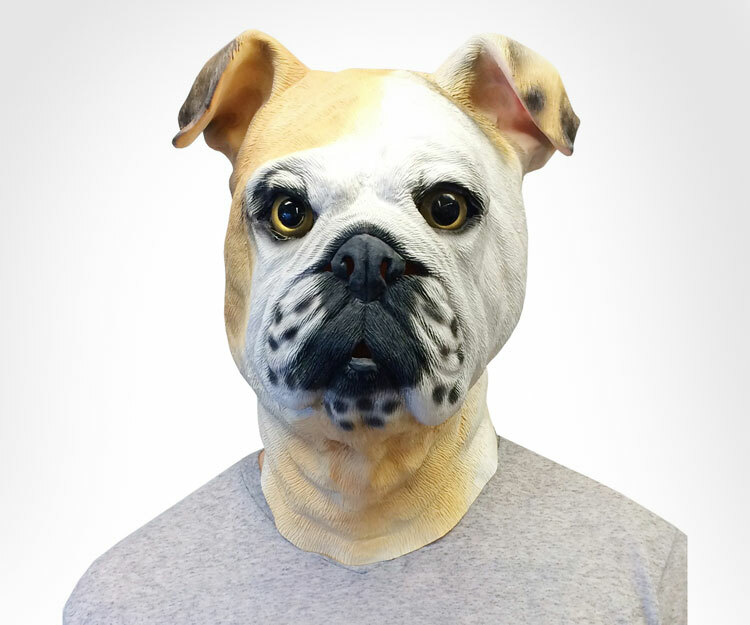 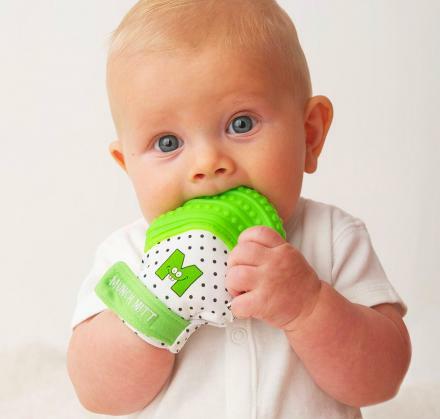 The realistic dog masks are made from high-quality eco-friendly latex, and are made and designed by Off The Wall Toys.